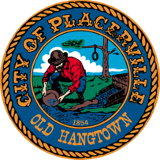 Residents and Business owners that reside or are doing business in the city limits of Placerville, must obtain an alarm permit. Placerville City Code Ordinance 6-14-4, No person shall install, connect, operate or maintain, or cause to be installed, connected, operated or maintained, an alarm system upon any property of which such person is in possession without first obtaining an alarm system permit therefore in accordance with the provisions in this chapter. Alarm permits shall be renewed on the anniversary date of the issued alarm permit. Thirty (30) days prior to the renewal date, the permittee shall be notified that the alarm permit is due for renewal. If the alarm permit is renewed within the thirty (30) day period, no fee shall be charged for the alarm permit renewal. If the alarm permit is not renewed during the thirty (30) day prior, the permittee shall be required to submit an application for reinstatement of the alarm permit and shall be required to pay the reinstatement fee. WHY HAS THE CITY ENACTED A FALSE ALARM ORDINANCE? False Alarm Ordinance, Placerville, Municipal Code Section 6-14-11(D)(1) May 25, 1982. A false alarm is the activation of an alarm system, which results in a police response where an emergency does not exist. The Placerville Police Department responding to false alarms results in a cost for personnel time and equipment use. False alarms are usually the result of a lack of proper maintenance and/or operator error of the alarm system. Responding to false alarms the police department has attempted to reduce the number of false alarms by notifying owners and/or operators of false alarms by letter. The following fee schedule will be used to assess fees for the Placerville Police Department Response to a false alarm. An exception shall include false alarms in which the permit holder can demonstrate that the false alarm was caused by hurricanes, tornadoes, earthquakes or other violent acts of nature. If an alarm owner feels they have been charged unjustly for any of the above fees, they may submit their appeal in writing to the Chief of Police. Alarm owners should maintain their alarm system in proper working order. An alarm owner should be well versed on how the alarm system operates and how to use it. Business owners with alarm systems are encouraged to have training sessions with employees on how to properly operate the business’ alarm system. Ordinance is one of many in the State of California. If you would like to obtain a copy of the False Alarm Ordinance, please contact the Placerville Police Department or go to our city website and view the City Code 6-14-11(D)(1). The Placerville Police Department will be responsible for managing the False Alarm Ordinance. If you have any questions, or need further information about the ordinance, or an application of an alarm permit, please contact our business office. You may also obtain the Alarm Permit form here . Once you fill out the permit, mail or deliver to the Police Dept. with your payment. Monday thru Friday - 7:30 a.m. to 5:00 p.m.